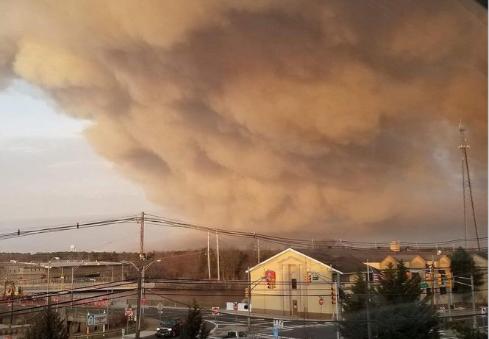 Wildfires broke out in New Jersey this past weekend, destroying 10,000 acres of Penn State Forest in Burlington County, New Jersey, after a brush fire and strong winds spread the fire across the state. No evacuations were orders and as of Sunday, approximately 75% of the fire is contained. 50 firefighters and 17 trucks from the state’s Forest Fire Service working to contain the fire, according to local news. Accuweather reports, “While Route 72 was closed in the vicinity of the fire for a time this weekend, no structures are in immediate danger, and no evacuations have been ordered.